Donovan Leitch, more usually known by his first name only, was one of the most influential artists of the 1960s. The term “flower power" was coined after a Time magazine journalist saw one of his concerts at the Carnegie Hall in New York. Mellow Yellow and Sunshine Superman are said to have encouraged the Beatles to experiment on Sergeant Pepper while the superb Season of the Witch was covered by Vanilla Fudge and even helped Joe Boyd to name his production company. He was discovered busking in London although he hailed from Glasgow. After an appearance on Ready Steady Go which led to a residency on the show, Donovan became an almost overnight sensation. He had a strong image with his denim cap and acoustic guitar that sported the slogan “This machine kills fascists." At an early stage in his career he appeared in the Bob Dylan film Don’t Look Back where he plays To Sing for You to Dylan an his entourage before Dylan responds with It’s All Over Now Baby Blue. His first single Catch the Wind reached number four in April 1965 as did the follow-up Colours. The first album What’s Bin Did and What’s Bin Hid went to number three. However, like many artists of the time, he underwent a change of direction and, while the music was still broadly folk-based, Donovan embraced the British psychedelic sounds and soon became a hero of the hippy generation. The new production team of Mickie Most and John Cameron helped to bring about this change and, in December 1966, Sunshine Superman went to number two in the UK and topped the charts in the US. This featured Jimmy Page on guitar. Donovan followed this with Mellow Yellow. The accompanying album Sunshine Superman helped to build on his success in the UK and the US. Season of the Witch was a particular highlight. Donovan was linked with the 1960s drug culture and admitted to have smoked dope and taken LSD and magic mushrooms. He was the first “celebrity" drug bust ahead of the Rolling Stones and the Beatles even though he claimed to have smoked all the cannabis prior to the raid and therefore was not guilty of possession of it at the time. He became close friends with the Beatles and was on the same trip to India to study with the Maharishi Manesh Yogi. Patti Boyd’s sister Jenny was also on the trip and inspired the song Jennifer Juniper. While he helped with the lyrics to Yellow Submarine, Paul McCartney sang backing vocals on Mellow Yellow. A Gift From a Flower to the Garden was a 1968 double album that had one side of children’s songs and another side for their young parents. The aforementioned Jennifer Juniper from the double album started 1968 as 1967 had ended with further success. Hurdy Gurdy Man reinforced this with a strong showing in the UK and US. A further change of direction followed in 1969. Atlantis made the lower reaches of the charts despite featuring McCartney on drums and Stephen Stills on backing vocals. There was a further hit with Goo Goo Barabajagal (Love is Hot) which was recorded with the Jeff Beck Group. 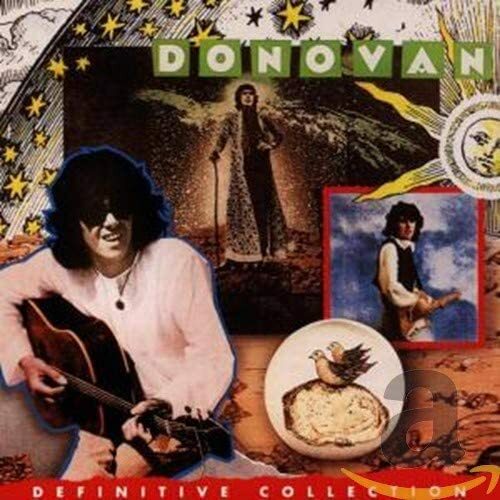 Donovan’s chart success was an important part of the second half of the sixties. During the 1970s the chart success eluded him. He later moved to California where he wrote movie scores. However, he is now based in Ireland and continues to tour around the world.